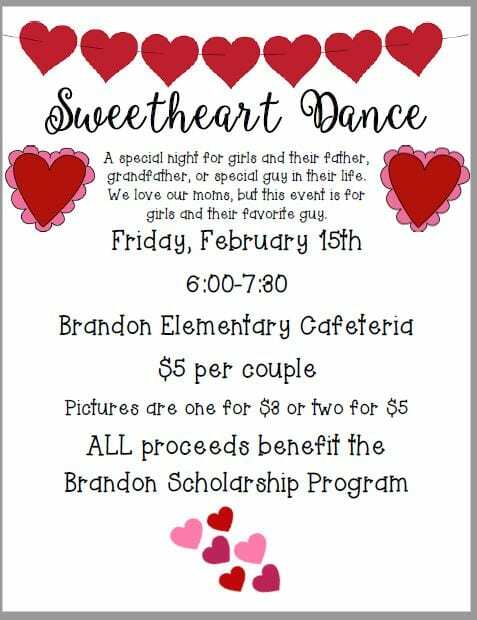 Now it is the girls’ chance to have some fun at the annual Sweetheart Dance. The girls will bring their dad, or substitute dad, for a wonderful night of dancing, snacks, photos and BOOK FAIR! The proceeds from the dance go to the Brandon Scholarship fund, which benefits the Lufkin High Seniors, that were former Brandon Bears. The entry is $5 per couple.